As an International Baccalaureate (IB) World School, our growth in developing international-mindedness has been enhanced by the international families that have joined and engaged in our Trinity community. 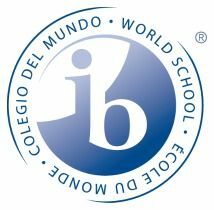 While we do have students who successfully apply to international colleges, our IB diploma curriculum is structured to support post-secondary education in the United States, and is the best fit for international students with that goal in mind. Students accepted to Trinity and into the IB diploma program are expected to have had prior educational experience in English and the ability to succeed in the school’s academic programs. Once accepted, students for whom English is a secondary language will be provided opportunities to continue learning in their primary language in literature. The application consists of the four sections below. We require a number of supplemental forms to be completed by the applicant and their current school. Recommendations are required from two current teachers of academic subjects and an administrator such as the current school’s head, counselor, or program director. We require that the applicant take both the TOEFL iBT test and the SSAT. If an international student is not able to visit campus, we will request an interview through another method. Please click on the "Submit an Application" bar at the top right to complete the following information in the Online Application.